If you had economic loss or property damage because of the Deepwater Horizon oil spill, you could get money from a class action settlement. Para obtener una notificación en español, póngase en contacto con nosotros o visite nuestro sitio web DeepwaterHorizonSettlements.com. Để được thông báo bằng tiếng Việt, xin gọi điện thoại hoặc vào trang mạng DeepwaterHorizonSettlements.com. If you have economic loss or property damage because of the Deepwater Horizon oil spill, you could get money from a class action settlement with BP Exploration & Production Inc. and BP America Production Company (“BP”). Go to DeepwaterHorizonSettlements.com for more information, including information on how to file a claim. Who is Included in the Economic & Property Damages Settlement? 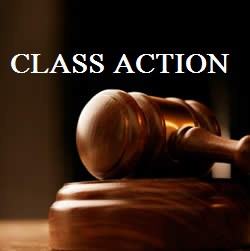 You have received this notice because you have been identified as a potential Economic and Property Damages Settlement Class Member. The Economic and Property Damages (“E&PD”) Settlement Class includes people, businesses, and other entities, in the states of Louisiana, Alabama and Mississippi, and certain counties in Texas and Florida, that were harmed by the oil spill. The website has detailed descriptions and maps to help you determine whether a geographic location may be included in the E&PD Settlement. Additionally, you can call 1-866-992-6174 or e-mail questions@DeepwaterHorizonEconomicSettlement.com to find out if a geographic location is included. The Detailed Notice has more information on who is included. What does the Economic & Property Damages Settlement Provide? The E&PD Settlement makes payments for the following types of claims: (1) Seafood Compensation, (2) Economic Damage, (3) Loss of Subsistence, (4) Vessel Physical Damage, (5) Vessels of Opportunity Charter Payment, (6) Coastal Real Property Damage, (7) Wetlands Real Property Damage, and (8) Real Property Sales Damage. There is no limit on the total dollar amount of the E&PD Settlement; all qualified claims will be paid. The Detailed Notice has more information on E&PD Settlement benefits. How to Get Benefits from the Economic & Property Damages Settlement You need to submit a Claim Form to request a payment. You can get a copy of the various Claim Forms by visiting the website or by calling 1-866-992-6174 . Claims can be submitted online or by mail. If you have questions about how to file your claim, you should call the toll-free number for assistance. Your Other Options If you do not want to be legally bound by the E&PD Settlement, you must Opt Out or exclude yourself by October 1, 2012 or you won’t be able to sue BP over certain economic and property damages claims. If you stay in the E&PD Settlement, you may object to it by August 31, 2012. The Detailed Notice explains how to exclude yourself or object. This entry was posted in Alabama, Gulf of Mexico Oil Spill 2010, Gulf of Mexico Oil Spill Blog, Gulf oil spill, Louisiana, Mississippi, Oil Spill, Texas and tagged Class Action, Class Action Settlement, Economic and Property Damages, Gulf of Mexico Oil Spill, Gulf Oil Spill, Oil Spill, Settlement. Bookmark the permalink.